Confession: I am an adventurous snack-eater and love discovering new, unique biscuits, lollies, gummies, drinks and everything in between. In moderation, it's not always a bad thing. If your list of favourite snacks (guilty pleasures or otherwise) has stalled a little bit and you're finding yourself picking up that same pack of Maltesers or Twix bars at the convenience store checkout, I propose a challenge: be adventurous and go international. Where better to start than your local Asian supermarket? 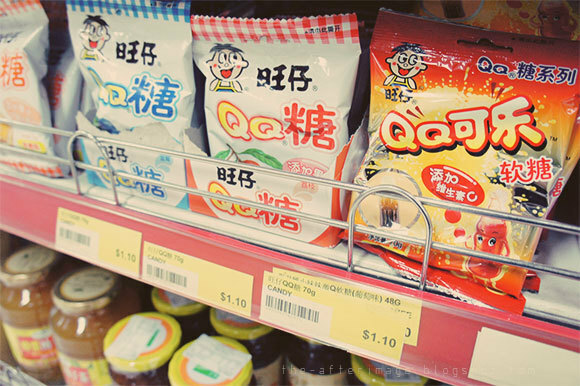 Here are five Asian snacks to get you started. There will be more recommendations to come - watch this space. 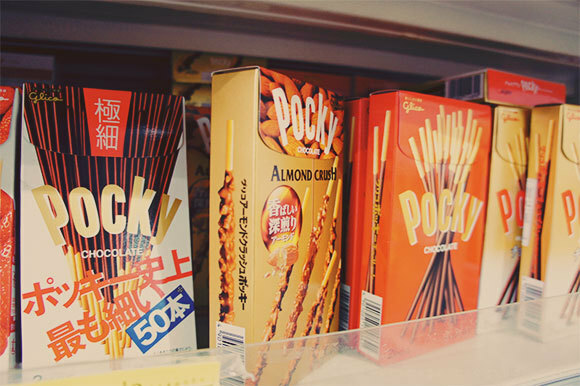 There's probably no other classically Japanese snack than Pocky. The chocolate-covered biscuit sticks come in an incredible range of flavours, which will change periodically, often with the seasons in Japan. They are a pricy indulgence, setting you back around $3.50 to $4.00 for one box, but worth the occasional treat. If you're looking for authentic Pocky, make sure you check that the writing on the box is all in Japanese or English (imports/imitations from other countries will often have Chinese or Thai on the cover and will often be cheaper). Think Yakult but slightly milder in flavour. 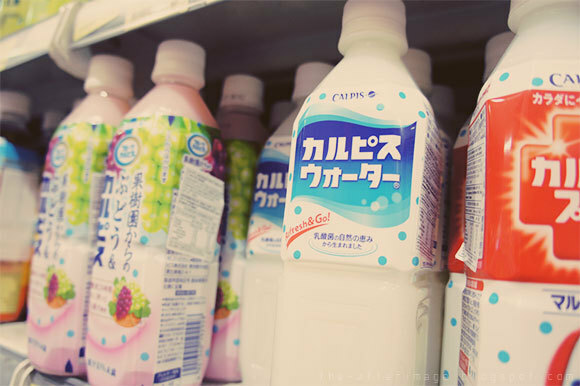 Don't be put off by the milkiness - Calpis is a refreshing, uncarbonated soft drink, perfect for summer with its slightly acidic, almost Yoghurt-y twang. 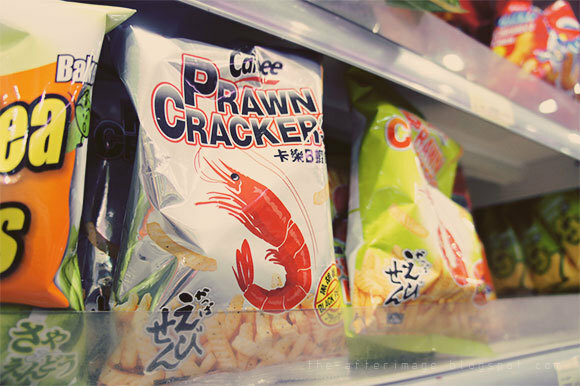 I'm pretty sure most people of Asian descent will have tried some form of these prawn chips growing up. These taste like your typical prawn crackers but in longer strips. The unique MSG flavour tastes nothing like actual prawn but are a great burst of vivid taste when you need a 4pm pick-me-up. Be warned – these are very sweet, very crunchy and very, very addictive. 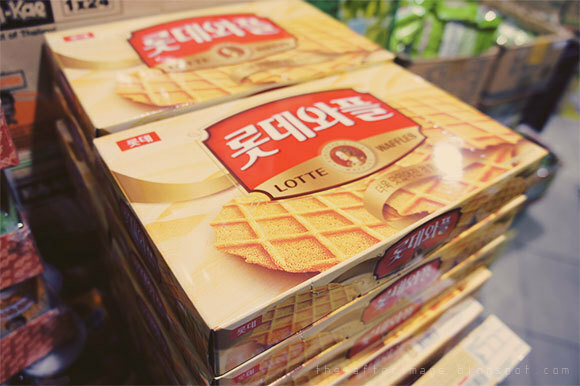 Think a crunchy, sweet biscuit-waffle. Each individually wrapped packet contains about four. Try to stop eating these. QQ gummies have a milder flavour compared to Western gummies like Starburst, so savouring the gummy is key. They pack a relatively large amount of candy in such a small bag and one of them will set you back about $1.20. I recommend the lychee, peach, green apple and cola flavours. It would be great if these Asian food stores put ENGLISH TRANSLATION of contents of the packaging. We understood this is required by LAW! Has the law changed or are these operators just lazy? They would sell a lot more if we could read what is contained inside the package. Next time can you place location where they are sold? Some of them are hard to find even when you go to Asian grocery stores.